Arthur Machen wrote some early fantasy horror, and I always like to see what Victorians invented back when there were fewer scripts for how a fantasy story should go. 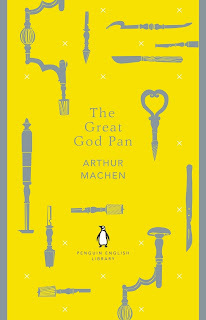 This one is fairly weird, but it isn't a novel; it's a collection of four short stories, though "The Great God Pan" is the longest and almost qualifies as a novella. I have a paperback Penguin English Library copy, which appears to be unavailable in the US except as an import, but Penguin just published a fancier hardback with more stories in it than I have. 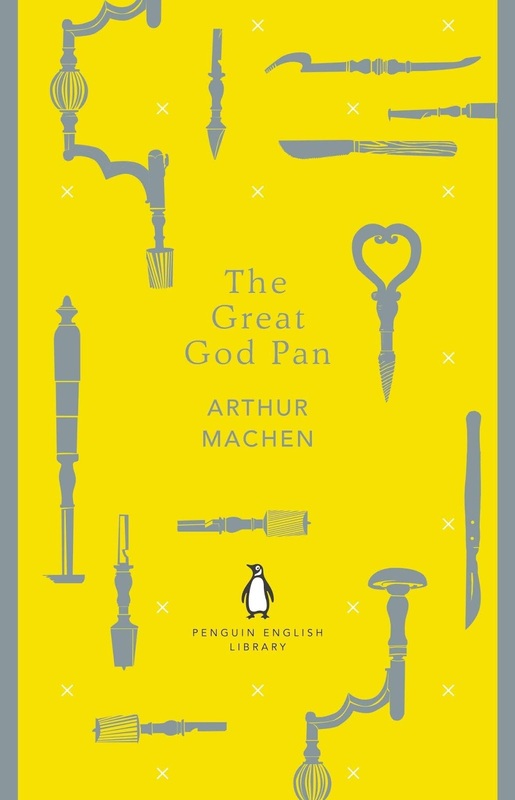 In "The Great God Pan," a doctor finds a way to do brain surgery that will allow the patient to see other dimensions; what he calls "seeing the great god Pan." The victim of this surgery at first appears to have completely lost her reason, but further chapters, set in later years, reveal bits and pieces of a much worse story. A girl, and then a woman, appears at intervals and befriends people, but then leads them into nameless horrific crimes. "Novel of the White Powder" is more straightforward. A young man overworks himself, and his sister persuades him to go to the doctor, but the pick-me-up tonic he's prescribed is made up from chemicals that have been sitting around too long. The young man first hits the town, and then becomes a recluse in his room. The hideous conclusion is explained by the doctor's amazing understanding of the mystery tonic. In "The Red Hand," two friends try to solve a mysterious murder, theorizing that the criminal is no ordinary modern Londoner, but a survival from prehistoric cavemen, "ravening like wolves at heart and boiling with the foul passions of the swamp and the black cave." An odd take on Darwin's descent of man, but...sure. "The White People" is the strangest story, being a copy of a girl's diary in which she recounts traveling around a dream landscape. The stories are typically Victorian in their hints and roundabout descriptions, but they're interesting to read and I'll probably pick them up again someday. A good choice for RIP. This sounds like something I would really enjoy. Strange that I've never heard of this author though! You know, I only just heard of it recently myself. It's described as this well-known classic stuff, but maybe that only applies to people who really pay a lot of attention to early fantasy horror and read Lovecraft and Peake? That's a fun take on RIP reading!